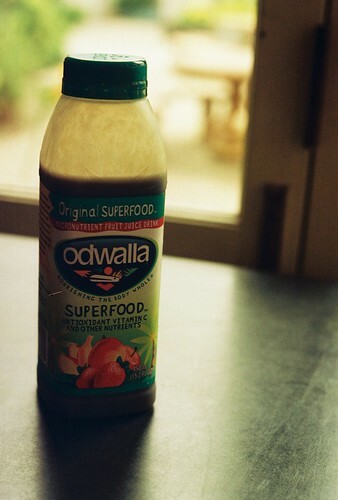 My weak spot of late is the original Odwalla Superfood. I can't vouch for it's nutritional value, but it sure hits the spot when I'm craving something that tastes healthy. But at $4-6 per 16oz bottle, it's a habit I cannot afford to keep. Or at least I shouldn't. Perhaps if I can splurge on some spirulina, I can make my own?